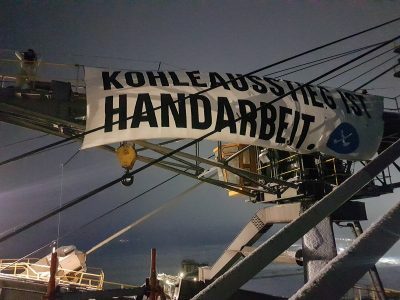 Ende Gelände announces mass action of civil disobedience in the Rhineland mining area in 2018 – saving the Hambach Forest by immediately exiting coal mining! 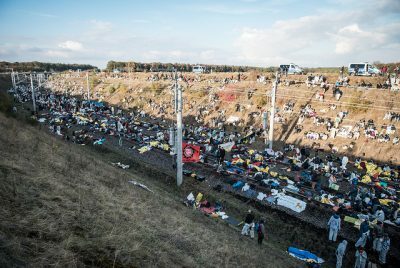 Ende Gelände presses for permanent ending of the clearing and announces a mass action of civil disobedience for the next season starting in October. At the Hambach mining pit the alliance will rise up again for an immediate end to coal mining. 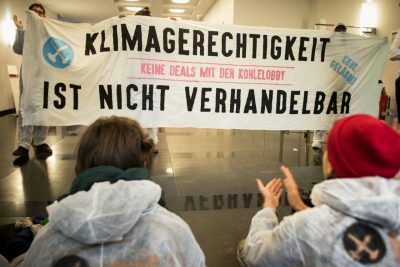 For the first time in 40 years the climate justice movement was able to stop the wood clearing of the Hambach forest for the mining pit for an entire clearing season by protests and legal complaints. Ende Gelände demands a permament end to the clearing and announces an action of civil disobedience for the next season starting in October. 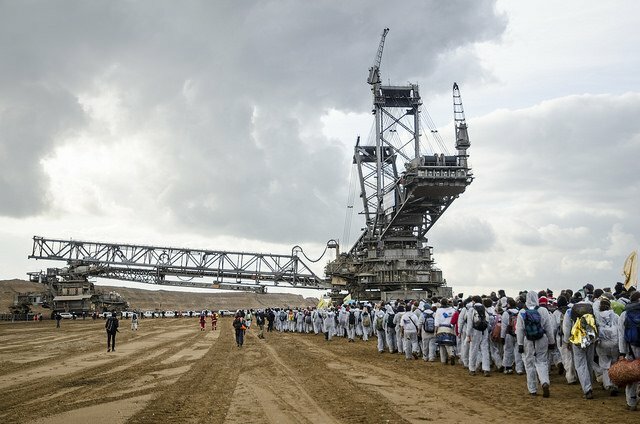 At the Hambach open-mining pit the alliance will stand up again for an immediate end to coal mining. “The preservation of the Hambach Forest is an immediate measure for climate justice here and on a global scale. Everybody knows that the coal has to remain in the ground so as not to heat up climate crisis. 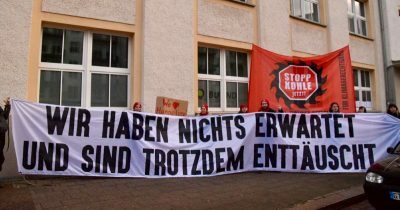 Still RWE keeps on destroying the forest out of their interest for profit. Ende Gelände opposes this absurdity”, claims spokesperson Karolina Drzewo. 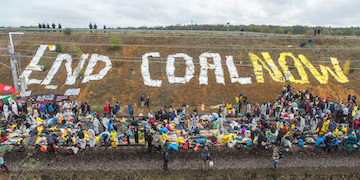 Last year the Ende Gelände alliance blocked coal mining infrastructure in August and November in the Rhineland mining area. With acts of massive civil disobedience Ende Gelände advocates for the immediate fussil-fuel phase-out as part of the global climate justice movement. 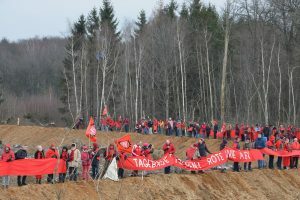 The Hambach Forest has already been largely destroyed for the mining pit. Lignite is the most climate damaging and dirtiest source of energy. Until RWE bought up the forest, it belonged to the surrounding communities. They are the ones standing up today together with others engaging for the preservation of the forest. On Sunday, 18.03.2018, more than 600 people got together in the Hambach Forest and lined up protectively in a “Rote Linie” (red line) infront of the forest. 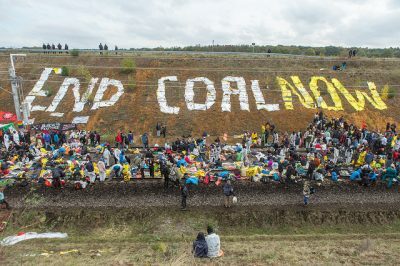 The “Bündnis gegen Braunkohle” (alliance against lignite) and the citizens’ initiative “Buirer für Buir” (Buirer for Buir) called for this action against coal.